A stall in Pho Co Dieu Market, also known as Thiec Market, located on Pho Co Dieu Street in HCM City’s District 11 serves authentic Vietnamese gumbo or bun mam, a signature dish from the southwestern region. The Cambodian dish is served with prahok dipping sauce, but in Vietnam it is often replaced with fish sauce. The dish is served with fish, shrimp, chicken, pork, pork rolls, raw spinach, finely chopped banana, bean sprouts, and lettuce. 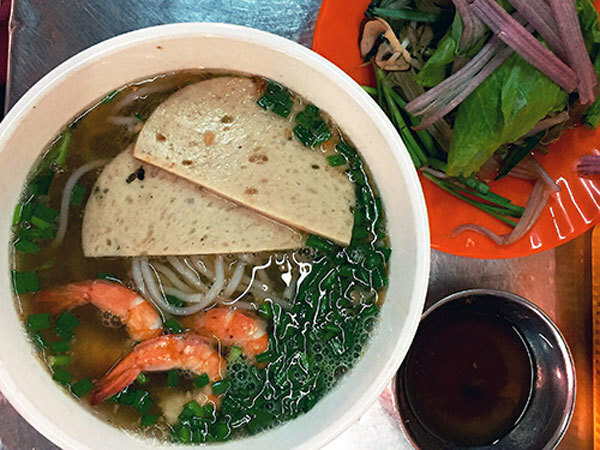 A bowl of Vietnamese gumbo costs VND30,000 (US$1.29) and is served for breakfast or lunch.